Elizabeth Seymour was born in 1511. 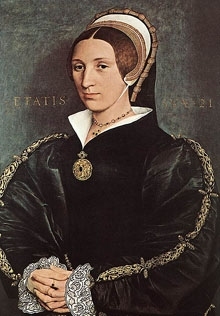 She was the daughter of Sir John Seymour and Marjory Wentworth.2 She married, thirdly, John Paulet, 2nd Marquess of Winchester, son of William Paulet, 1st Marquess of Winchester and Elizabeth Capell.3 She married, firstly, Sir Anthony Oughtred.2 She married, secondly, Gregory Cromwell, 1st Baron Cromwell, son of Thomas Cromwell, 1st and last Earl of Essex and Elizabeth Wykes, before 1538.3 She died in 1563. [S6] G.E. Cokayne; with Vicary Gibbs, H.A. Doubleday, Geoffrey H. White, Duncan Warrand and Lord Howard de Walden, editors, The Complete Peerage of England, Scotland, Ireland, Great Britain and the United Kingdom, Extant, Extinct or Dormant, new ed., 13 volumes in 14 (1910-1959; reprint in 6 volumes, Gloucester, U.K.: Alan Sutton Publishing, 2000), volume III, page 558. Hereinafter cited as The Complete Peerage. He gained the title of 1st Baron Cromwell. [S6] Cokayne, and others, The Complete Peerage, volume III, page 557. [S6] Cokayne, and others, The Complete Peerage, volume III, page 558. 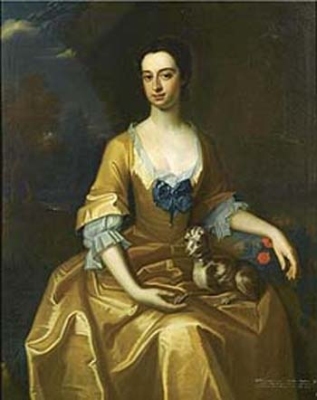 From 27 January 1738/39, her married name became Arundell.1 After her marriage, Mary Bellings-Arundell was styled as Baroness Arundell of Wardour on 30 June 1746. Her last will was dated 6 June 1767.